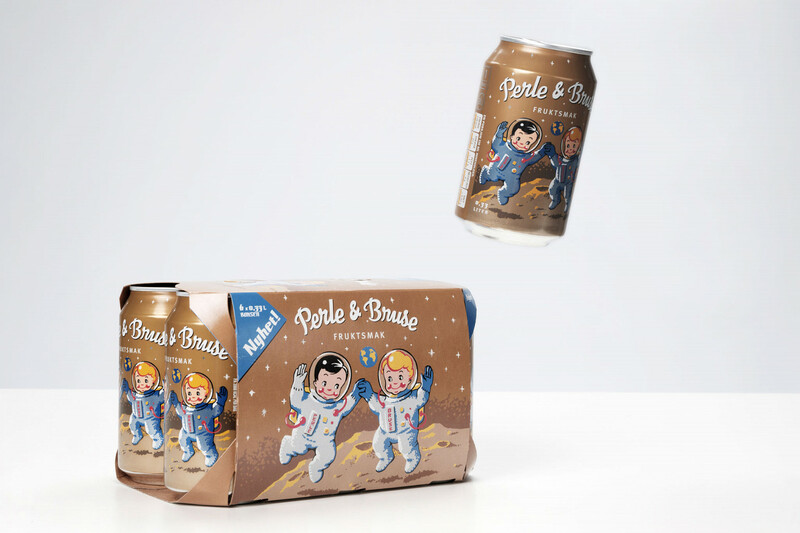 Hansa Borg Bryggerier wanted to expand their soft drink series, Perle & bruse. The illustration was chosen from the original archival material of the two mascots. 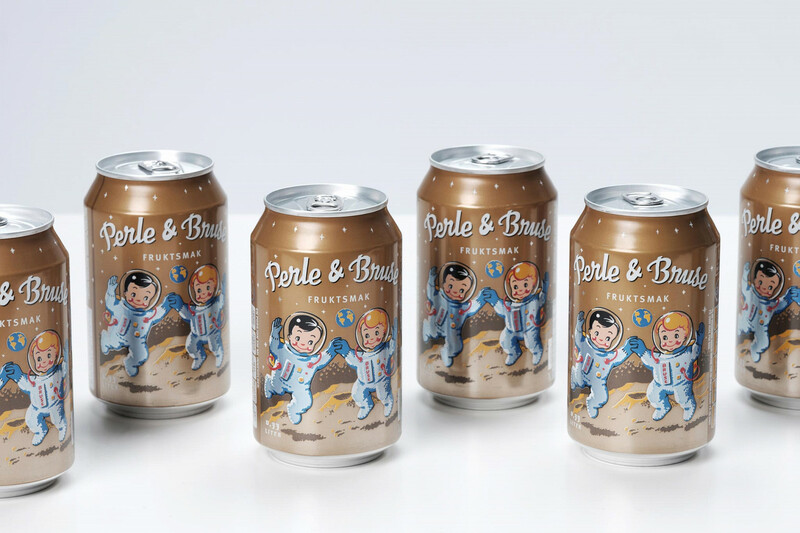 All Tomorrow’s developed and optimised the illustration for flexo print and designed the cans, six pack and promotional materials.